The WBX applies waterborne basecoats and HS clearcoats, thus creating superior atomization and control. 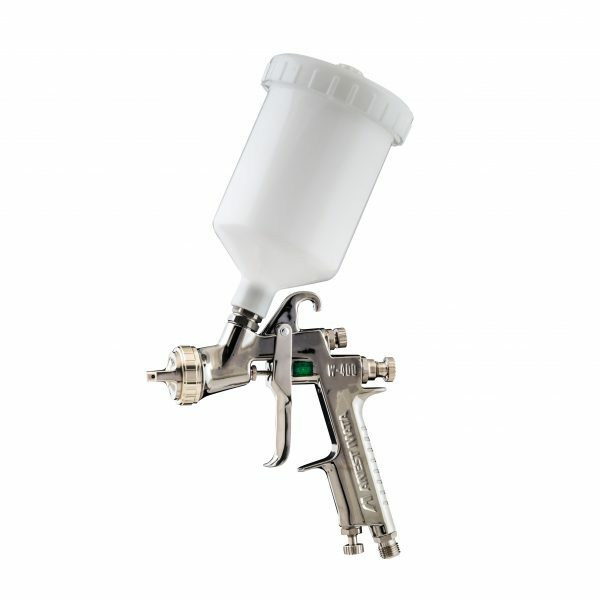 The WBX air cap has a long, flat, fan pattern, which gives an even overlap on modern paints. As a result, you get a mottle-free basecoat application and a flat and even lay down on clears. The WBX delivers a consistent droplet size when atomizing, allowing you to achieve a consistent application of waterborne base coats. Finally, the W-400 WBX gives you fluid delivery control, which is essential for colour reproduction of waterborne base coats. 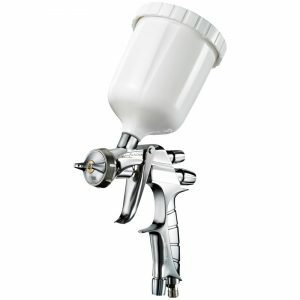 Split nozzle technology lets the spray gun works with lower pressure resulting in lower air consumption. 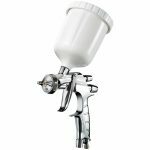 Its long flat uniformed spray patter with fine and consistent droplets enables an easy-to-control painting overlap which achieves a premium quality paint job every time.